July 28, 2017 - The Pacers unveiled two new Nike uniforms for the 2017-18 season: a white "Association Edition" and a blue "Icon Edition." July 28, 2017 - The Pacers revealed their new uniforms to local fans at the River West StreetFest in Indianapolis. July 28, 2017 - Pacers center Myles Turner shares his reaction after the Pacers unveiled their new uniforms at the River West StreetFest. July 28, 2017 - Pacers guard Lance Stephenson talks about revealing the new Pacers uniforms to fans at the River West StreetFest. July 28, 2017 - Pacers forward Glenn Robinson III talks about unveiling the new Pacers uniforms in front of local fans at the River West StreetFest. July 28, 2017 - Pacers players Myles Turner, Glenn Robinson III, Lance Stephenson, T.J. Leaf, and Ike Anigbogu unveil new uniforms to fans at the River West StreetFest. For the last year, the Indiana Pacers have celebrated the past, commemorating their 50th season of professional basketball with a season-long deep dive into memorable players and moments from each decade. So it is fitting that the 51st season marks the beginning of a new chapter. On Friday, the Pacers officially unveiled the first phase of a brand refresh, built around the "We Grow Basketball Here" platform and highlighted by the unveiling of new white and blue uniforms, a new playing court, and two new logos – a state icon and seal for basketball in Indiana. The platform is the result of a three-year focus on reestablishing the franchise's identity that began with the debut of the Hickory jerseys and honoree program for the 2015-16 season, continued with the 50th season celebration last season, and now looks forward to the future while continuing to pay tribute to the state's rich basketball heritage. 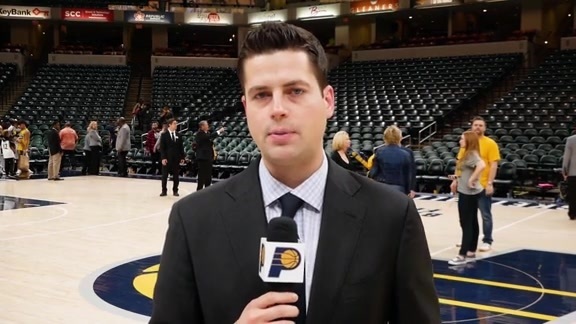 "I think when you talk to anybody about Indiana and what comes to mind, basketball is it," said Todd Taylor, Pacers Sports & Entertainment's Senior Vice President/Chief Sales & Marketing Officer. "As we look at it, being Indiana's team from border to border, I think it's important that we sort of look at our roots. And those roots really are basketball and growing the game." 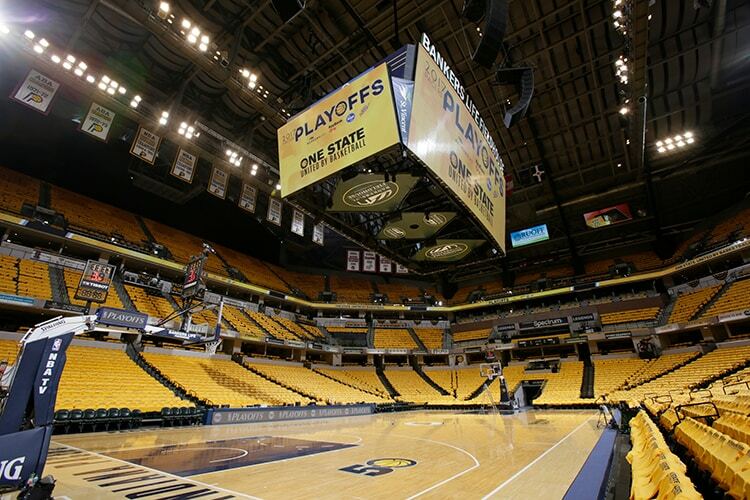 The new uniforms in particular are an exciting development for Pacers fans. Indiana last unveiled new uniforms in Sept. 2005 and has sported the same design for the past 12 seasons. It's a great new look for the new-look Pacers. They fit great, they feel great. I think fans are really going to like them. I like them so much I'm going to buy my own jersey." One of the signature elements of the new uniforms is the lettering encircling the number on the front of each jersey spelling out both "Indiana" and "Pacers." The Pacers will be the only NBA team to have their full team name featured on their uniforms with the number perfectly centered between the two names. "We wanted to have a traditional uniform, but with a much more modern look," Taylor said. "So as we started research, the (Fort Wayne) Zollner Pistons was a uniform that we looked at from a long time ago that had a name identifier and team identifier on the front. 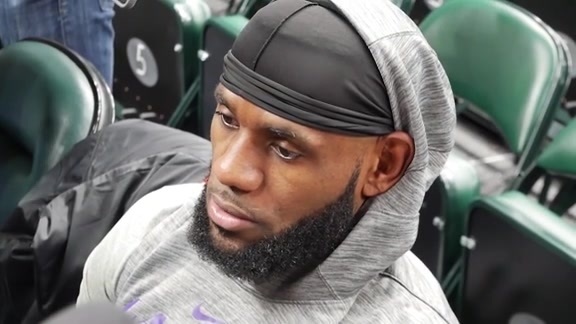 "We thought it would be interesting to try to incorporate both Indiana and Pacers to reinforce that we are a team of the state and not just Indianapolis." Both uniforms also feature unique lining along the sides of both the jersey and the shorts, featuring dynamic gold lines on blue piping. These dimensional lines invoke the imagery of Indiana farmland and are a physical representation of growth, tying into the notion that basketball is grown in Indiana. 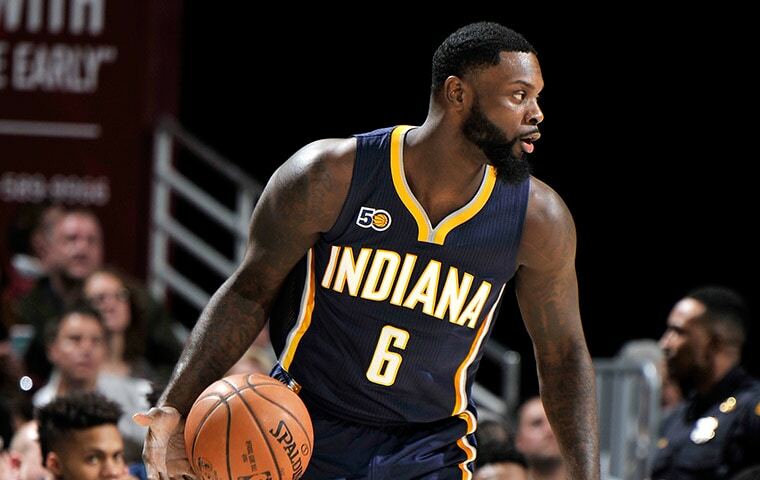 "It's a great new look for the new-look Pacers," Pacers guard Lance Stephenson said. "They fit great, they feel great. I think fans are really going to like them. "I like them so much I'm going to buy my own jersey." The uniforms also include a number of smaller tweaks. They feature a new compact typeface and the letters and numerals on the blue uniforms are now gold with white trim (the previous blue jerseys had white lettering with gold trim). The necklines of both jerseys now feature a solid, v-neck trim (blue on the white uniforms and gold on the blue uniforms). Both uniforms also feature the new state icon on the center of the waistband on the shorts. This secondary logo was originally seen on the customized IndyCar Larry Bird drove in New York City to deliver the franchise's bid for the 2021 All-Star Game to the NBA's league offices and pays homage to the Pacers representing the entire state of Indiana on the basketball court. 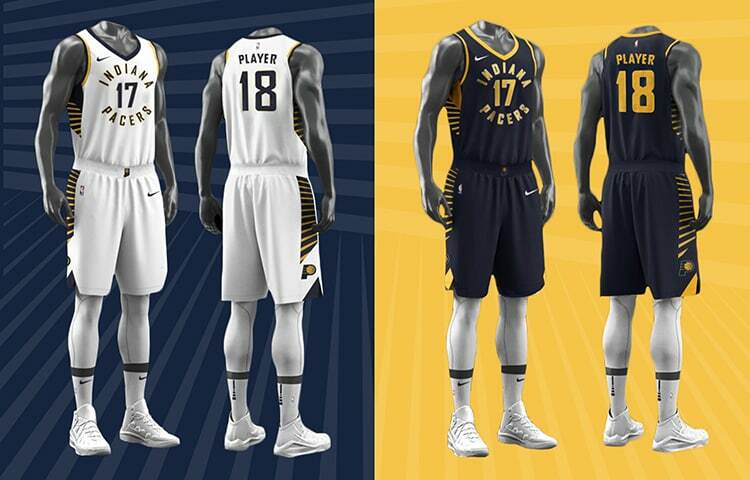 The Pacers shared initial concepts with Nike, who replaced Adidas this summer as the official manufacturer of NBA uniforms, which modified the design to come up with a 'modern traditional' look. "They were really excited about putting both the state and the team name on the front and just the unique factor of the design," Taylor said. "I think they did a great job of keeping a traditional look, while adding enhancements, like the side panel design, to create a nice balance." 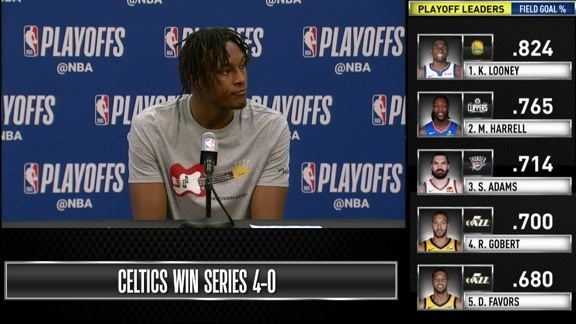 The jerseys are already drawing rave reviews from key Pacers players, like 21-year-old star center Myles Turner. "I think Nike did a really good job with the whole look of the uniform, from the shorts to the tops," Turner said. "Aside from the look, they did their homework into making them comfortable for the players. "These uniforms are going to be very popular." One change the NBA is implementing league-wide is the abolishment of designated "Home" and "Road" uniforms. Instead, the new white Pacers uniform will be termed Indiana's "Association Edition," while the blue uniform is the franchise's "Icon Edition." For the 2017-18 season, home teams will be allowed to choose which uniform they want to wear for each particular game on their schedule. Visiting teams can then choose any uniform that contrasts with the home team's selection. These changes allow for greater flexibility in jersey choices than had happened in the past. Previously, the Pacers never wore their blue uniforms at home and only wore white on the road on rare occasions. Fans can expect to see greater variety in uniform choices next season. The new court design also echoes many of the elements in the brand refreshment. The sidelines will now be Pacers blue (on the previous court, they were simply a lighter shade of wood than the playing surface) with the dimensional lines that represent farmland and early morning sunrise emanating from all four sides of the playing surface. "We Grow Basketball Here" will be emblazoned on the west sideline as a reminder of the organization's foundational ethos. 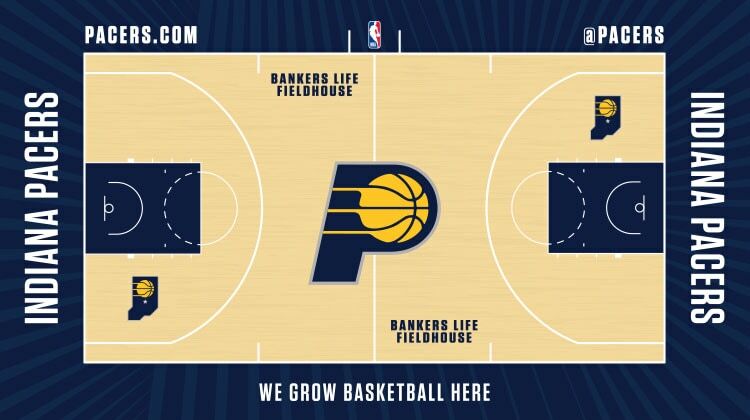 The playing surface will feature the new secondary state logo in the southeast and northwest corners and a 400 square-foot Pacers P at center court. 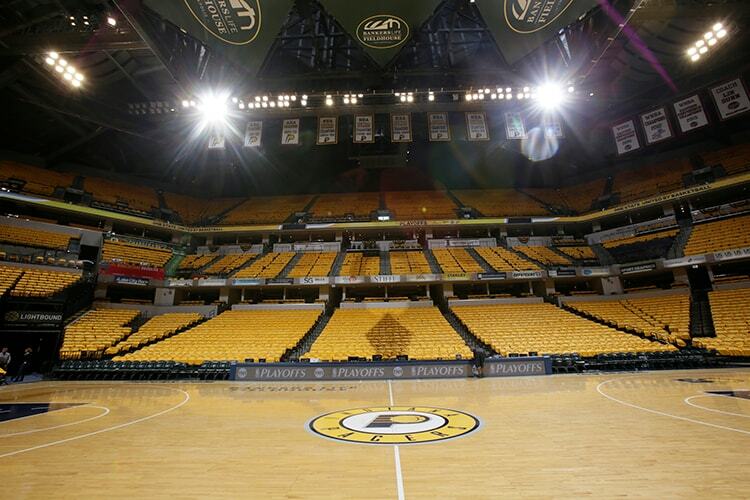 The previous center court logo was much smaller at 169 square feet and featured the global logo, with the Pacers P on a white circle surrounded by a gold ring that spelled out "Indiana Pacers." 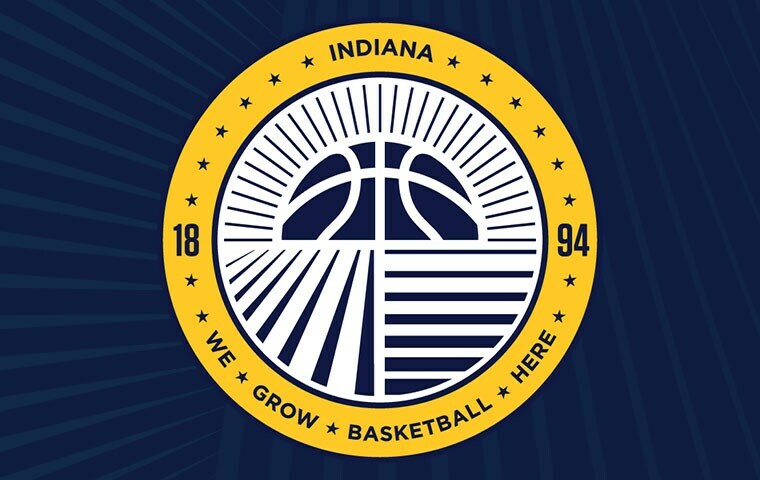 Another important element of the brand refresh is a new seal for basketball in Indiana, which was designed to serve as a symbol of unity, bringing together all those with a shared devotion to the game. The seal features a basketball rising over the horizon of dimensional lines of farmland. Surrounding that imagery is a gold ring with the state name, 19 stars (Indiana was the 19th state), the year 1894 (commemorating when the first game of basketball was played in the state), and the mantra "We Grow Basketball Here." By happenstance, the brand refresh coincides with a summer in which the Pacers are also undergoing significant refresh within the locker room. Newly promoted President of Basketball Operations Kevin Pritchard has been very active in recent weeks, already adding eight new players to the roster through the draft, trades, and free agency. In more ways than one, the team that takes the court for Opening Night in October will have a completely different look. 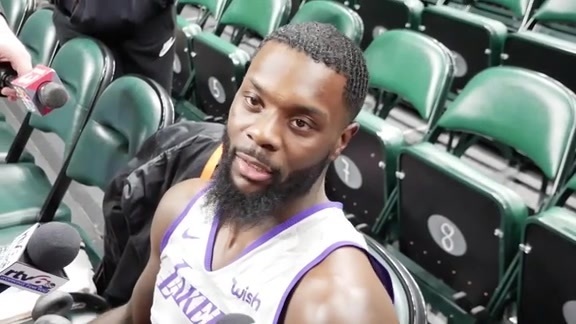 "I think it gives us a great opportunity to really start fresh in a lot of ways as we begin the next 50 years of professional basketball," Taylor said.